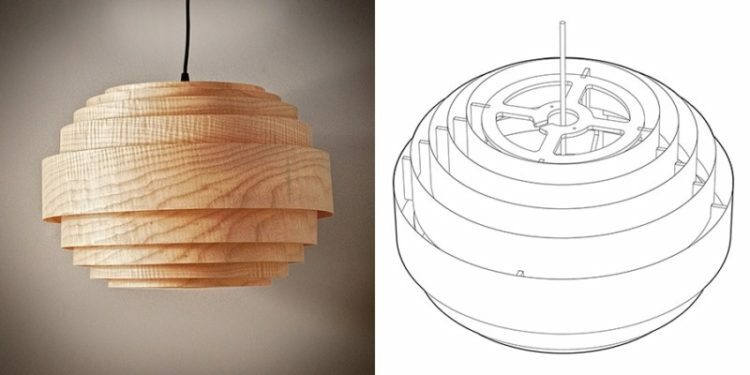 Wood veneer chandelier pendant lighting inspired by Scandinavian design. Once lit, it created a warm and contemporary atmosphere in any setting. The Boll Lamp is inspired by Scandinavian design and is handmade in Montreal out of a light birch structure, which is wrapped in bands of sycamore veneer. This sculptural lamp is created with bands of different widths, assembled to create an elliptical shape. When the light is turned on, the Particular woven grain of the wood is Accentuated. Is this light available for purchase and shipment to the US?